Home » Recipes » Cookies & Brownies » Cookies Made with Hard-Boiled Egg Whites – It Works and It’s Fantastic! I love a chocolate chip cookie that lives in the sweet spot between hard and crispy and soft and chewy – a cookie that is good with a glass of milk (but doesn’t require one) and that gently crumbles in my mouth, but doesn’t fall apart in my hand if I hug it too hard. These chocolate chip cookies fit the bill. Their flavor – sweet and salty with just the right amount of chips – hits the mark as well. 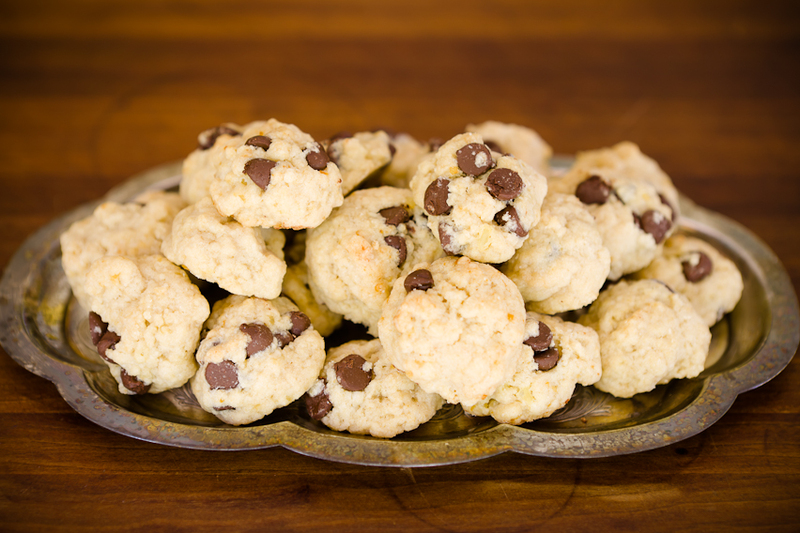 The taste and texture aren’t the only things that set these chocolate chip cookies apart from the crowd; it’s their surprising ingredient – hard-boiled egg whites – that makes them so unique! The egg whites dissolve during baking so your unsuspecting eaters will never know they were there. I can’t profess to understand all of the science behind why the hard-boiled egg whites give these cookies such a stellar texture, but I can say that surprisingly, using them works. I had a handful of hard-boiled egg whites left over after making my deviled egg frosting and I didn’t want them to go to waste. A Google search led me to a recipe on my favorite cookie blog, Cookie Madness, for chocolate chip cookies made with hard-boiled eggs. Perfect! I took Anna’s recipe and adapted it to work with just the whites of the hard-boiled eggs. If you have a whole hard-boiled egg on hand and don’t want to make deviled egg frosting, then you may want to try her chocolate chip cookie recipe as written. Here is my chocolate chip cookie recipe adapted from Cookie Madness. I love a chocolate chip cookie that lives in the sweet spot between hard and crispy and soft and chewy. Using an electric mixer, beat butter on high speed until you have a bowl full of little butter crumbles. Mix in flour until completely combined with the butter. You'll now have slightly larger crumbles. Mix in the sugar, brown sugar, and hard-boiled egg whites. Don't expect to see the egg whites disappear. You'll be able to see them until the cookies bake. Mix in the vanilla extract and milk. Roll dough into small balls (or big ones if you like bigger cookies) and place on a cookie sheet lined with parchment or a Silpat. Bake for 20 minutes or until the bottoms are slightly browned. Of course, I had to wonder whether cupcake recipes made with hard-boiled egg whites would also turn out well. I took my Ultimate Vanilla Cupcake recipe and replaced the two eggs with two and a half hard-boiled egg whites and added them with the dry ingredients. The texture of the cupcake wasn’t quite as good as the original, but it worked! People still loved the cupcakes and no one suspected the hard-boiled egg. If I had left over hard-boiled eggs, I wouldn’t hesitate to use them in cupcakes. I have to give it a try. I saw this thirty minutes ago. I just made some brown butter chocolate chips cookies. I would have loved to give them a shot with a hard boiled egg white. It just sounds so weird to put boiled eggs in a cookie! I can’t wait to try and see for myself! Those rainbow cupcakes look great. That is my next project. I hope they look as great as yours. I’ve never used hard boiled eggs in cookies. What a great idea! Will have to try this.. This is so interesting! Never thought you could use cooked eggs in cookies! Your blog is purely fantastic! The receipts you post on here are so creative and yet easy to be prepared, but colourful and tasty and I just have no words to describe how much love getting ideas from you! I am going to treat myself and my entire family this coming weekend with these cookies! Thanks a lot! This surprised me so much! 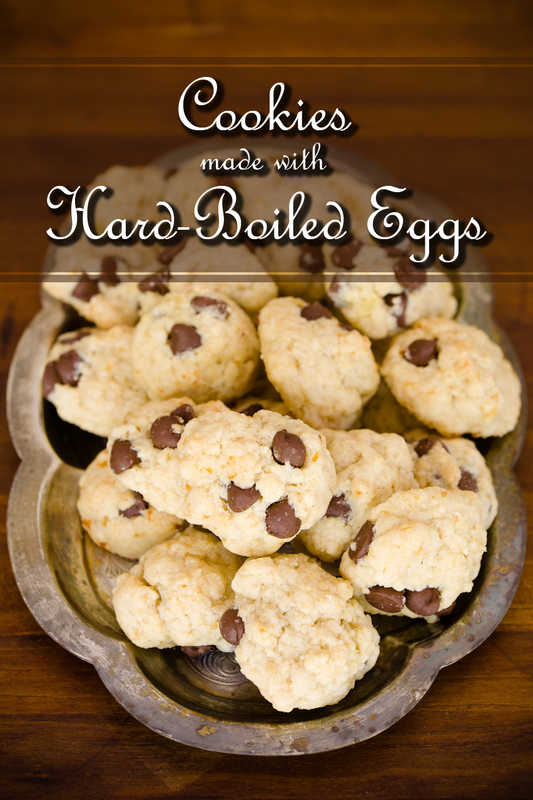 Eggs in cookies…wow C: Totally gonna try this! These look awesome, can’t wait to try them! Thanks so much for this recipe. My baby is eating a lot of hard-boiled egg yolks, but he can’t have the whites yet, so I’m ending up with more hard-boiled egg whites than I know what to do with. I’m thrilled to find a recipe to use them in! I have faithfully followed your recipe and came delicious, thank you.